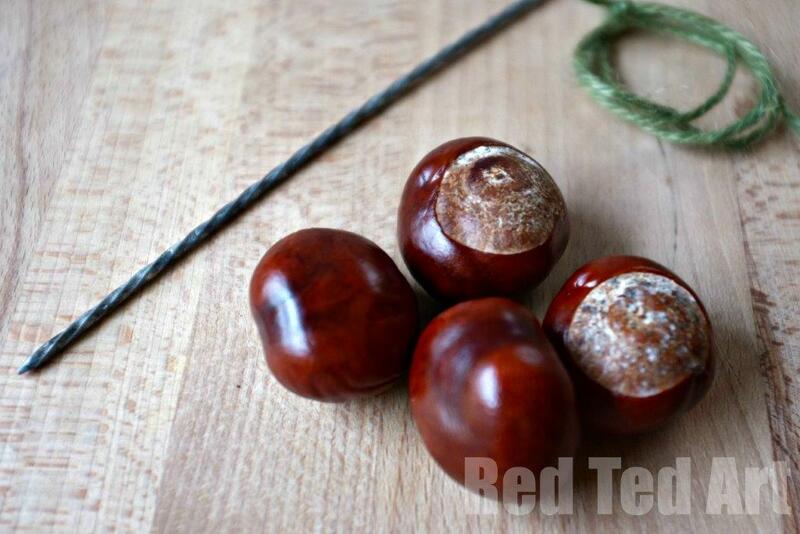 Playing Conkers (or Horse Chestnuts to the rest of the world) is a VERY British “school boy” game to play. 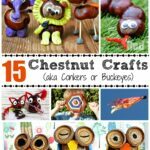 I always imaging, boys in shorts (yes in Autumn), with scraped knees playing this games with the humble Horse Chestnut. 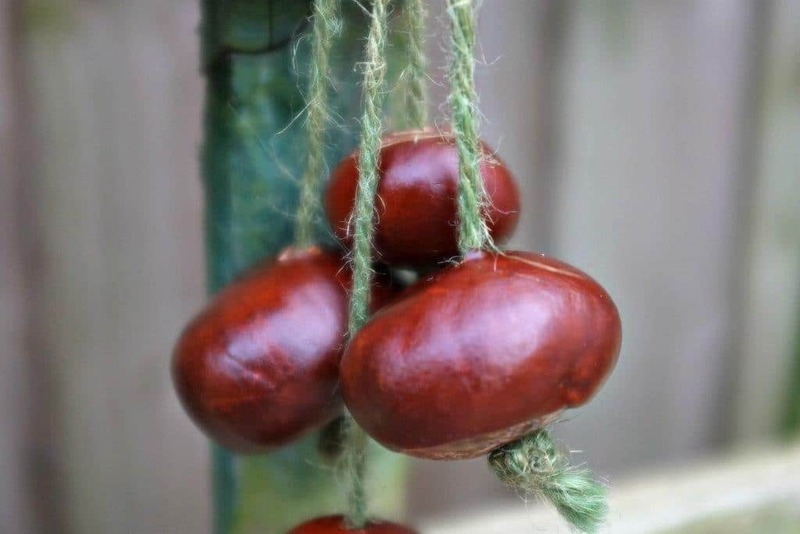 But of course ANYONE can play conkers and I did too as a child. These days, it isn’t so well known anymore – as the toy mountain grows and schools get concerned about health and safety. 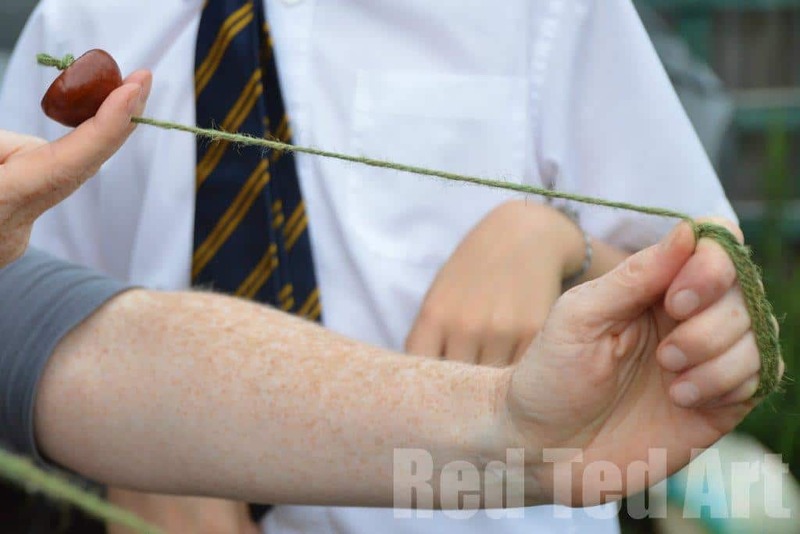 To play conkers, each player needs one conker attached to a long ish piece of string. 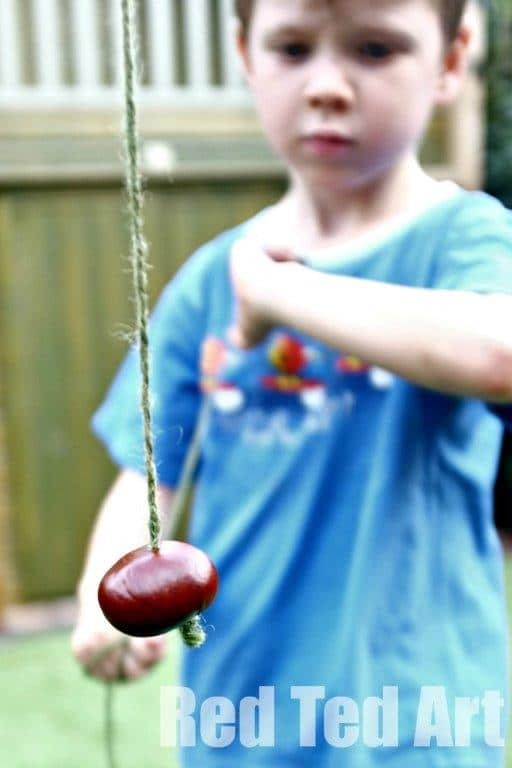 The aim of the game is to “flick” your conker so it hits that of the opponent and eventually break it. 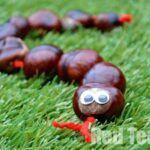 A champion conker will beat all the other conkers in the school playground. 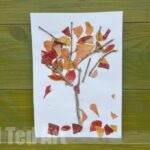 I created a short video to show how to easily skewer your conker and thread it… as well as the boys demonstrating how to play it. 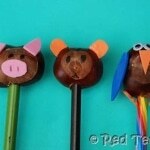 1) Make a small hole at the top of your conker with the skewer. 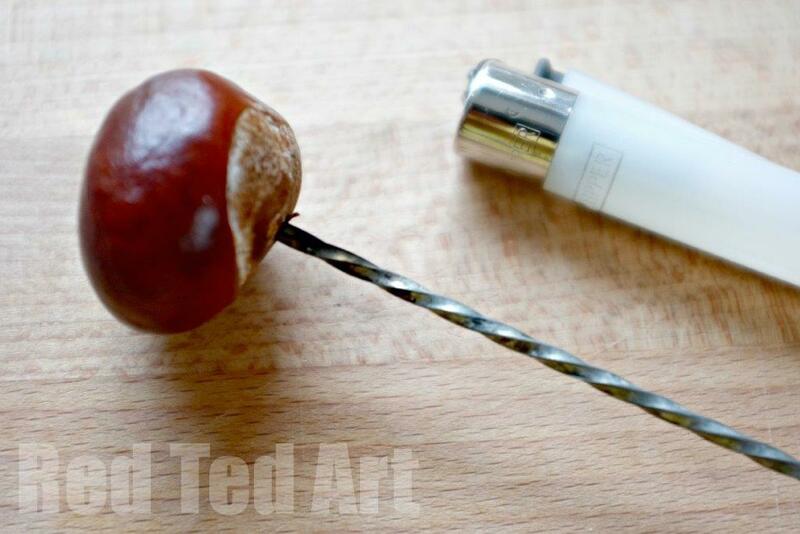 Then heat it with your lighter – the heated skewer will pass more easily through your conker. This is a top tip from KidsChaos‘s Mum!! 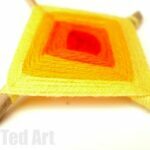 2) Use your tape to make a “shoe lace” end of your piece of string. This will make it SUPER easy to thread through. 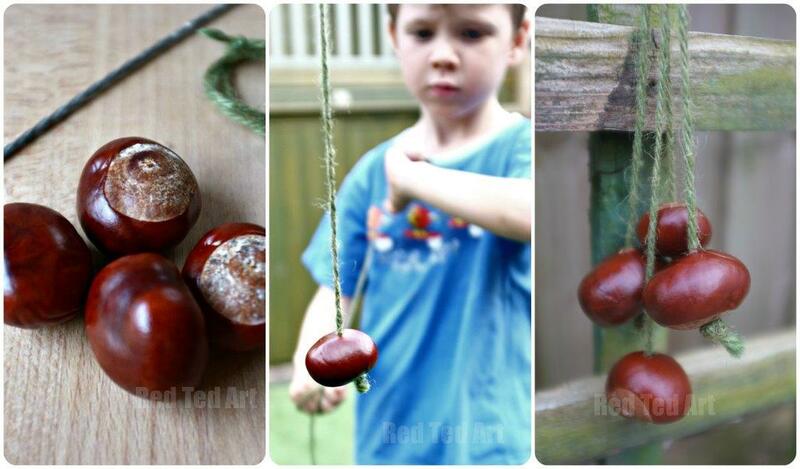 The best way to hold your conker and string to get a good aim. Some say it is being innovative, other say it is cheating. 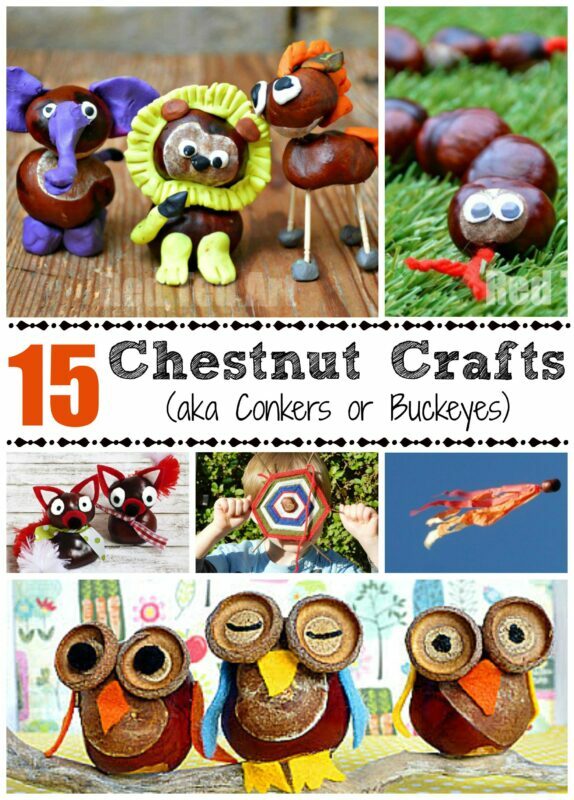 In order to win, you need a harder conker than everyone else. 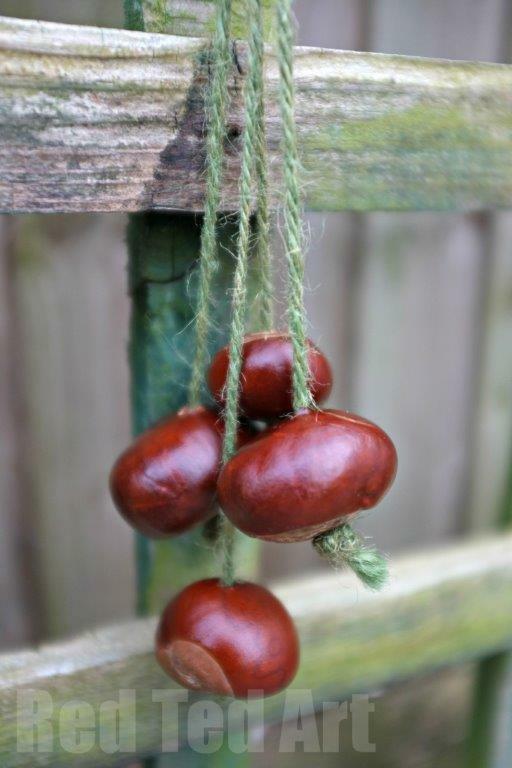 One such conker, would be to use last year’s stash…. 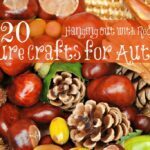 however it will be harder to thread. And they usually look a little shrivelled, so you may be disqualified! Yes, apparently soaking them in vinegar, makes your horse chestnut tougher.. but as Me and My Shadow points out, the smell gives it away. 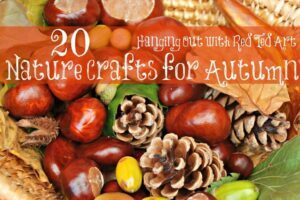 Tired Mummy of Two went a step further and then varnished her conkers too. Clever lady! 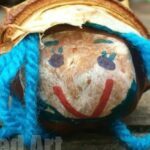 Mummy Alarm all say “bake your conker”. Yes, it will make it nice and hard. Whilst Being Mr C says do both: Vinegar AND Bake! 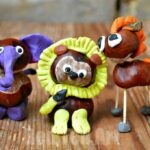 The most EPIC CHEAT of all is that of A Bavarian Sojourn.. she went as far as to make FAKE conkers from FIMO. Genius. I’m not trying to be a sour puss. But I would not be advertising teaching children to cheat. Teaching children that doing ANYTHING to WIN is a back words concept if you ask me. I think learning to play fairly together, have fun, and most of all to LOOSE WITH GRACE, are all far better lessons in a child’s life. Ive never heard of this game before, thank you so much for sharing. Its a simple sweet game, and it gets kids away from technology for awile and reintroduces social skills.